Within half a year, Wendy was completely paralyzed. At 21 years old, she had to be artificially ventilated and fed through a tube placed into her stomach. Even more horrifyingly, as paralysis gradually swept through her body, Wendy realized that she was rapidly being robbed of ways to reach out to the world. Initially, Wendy was able to communicate to her loved ones by moving her eyes. But as the disease progressed, even voluntary eye twitches were taken from her. In 2015, a mere three years after her diagnosis, Wendy completely lost the ability to communicate—she was utterly, irreversibly trapped inside her own mind. Complete locked-in syndrome is the stuff of nightmares. Patients in this state remain fully conscious and cognitively sharp, but are unable to move or signal to the outside world that they’re mentally present. The consequences can be dire: when doctors mistake locked-in patients for comatose and decide to pull the plug, there’s nothing the patients can do to intervene. Now, thanks to a new system developed by an international team of European researchers, Wendy and others like her may finally have a rudimentary link to the outside world. The system, a portable brain-machine interface, translates brain activity into simple yes or no answers to questions with around 70 percent accuracy. That may not seem like enough, but the system represents the first sliver of hope that we may one day be able to reopen reliable communication channels with these patients. Four people were tested in the study, with some locked-in for as long as seven years. In just 10 days, the patients were able to reliably use the system to finally tell their loved ones not to worry—they’re generally happy. The results, though imperfect, came as “enormous relief” to their families, says study leader Dr. Niels Birbaumer at the University of Tübingen. The study was published this week in the journal PLOS Biology. Robbed of words and other routes of contact, locked-in patients have always turned to technology for communication. Perhaps the most famous example is physicist Stephen Hawking, who became partially locked-in due to ALS. Hawking’s workaround is a speech synthesizer that he operates by twitching his cheek muscles. Jean-Dominique Bauby, an editor of the French fashion magazine Elle who became locked-in after a massive stroke, wrote an entire memoir by blinking his left eye to select letters from the alphabet. Recently, the rapid development of brain-machine interfaces has given paralyzed patients increasing access to the world—not just the physical one, but also the digital universe. 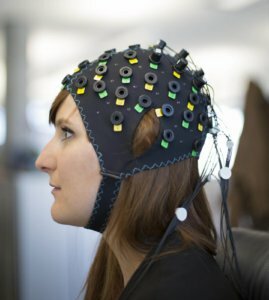 These devices read brain waves directly through electrodes implanted into the patient’s brain, decode the pattern of activity, and correlate it to a command—say, move a computer cursor left or right on a screen. The technology is so reliable that paralyzed patients can even use an off-the-shelf tablet to Google things, using only the power of their minds. But all of the above workarounds require one critical factor: the patient has to have control of at least one muscle—often, this is a cheek or an eyelid. People like Wendy who are completely locked-in are unable to control similar brain-machine interfaces. This is especially perplexing since these systems don’t require voluntary muscle movements, because they read directly from the mind. The unexpected failure of brain-machine interfaces for completely locked-in patients has been a major stumbling block for the field. Although speculative, Birbaumer believes that it may be because over time, the brain becomes less efficient at transforming thoughts into actions. “Anything you want, everything you wish does not occur. So what the brain learns is that intention has no sense anymore,” he says. In the new study, Birbaumer overhauled common brain-machine interface designs to get the brain back on board. First off was how the system reads brain waves. Generally, this is done through EEG, which measures certain electrical activity patterns of the brain. Unfortunately, the usual solution was a no-go. “We worked for more than 10 years with neuroelectric activity [EEG] without getting into contact with these completely paralyzed people,” says Birbaumer. It may be because the electrodes have to be implanted to produce a more accurate readout, explains Birbaumer to Singularity Hub. But surgery comes with additional risks and expenses to the patients. In a somewhat desperate bid, the team turned their focus to a technique called functional near-infrared spectroscopy (fNIRS). Like fMRI, fNIRS measures brain activity by measuring changes in blood flow through a specific brain region—generally speaking, more blood flow equals more activation. Unlike fMRI, which requires the patient to lie still in a gigantic magnet, fNIRS uses infrared light to measure blood flow. The light source is embedded into a swimming cap-like device that’s tightly worn around the patient’s head. To train the system, the team started with facts about the world and personal questions that the patients can easily answer. Over the course of 10 days, the patients were repeatedly asked to respond yes or no to questions like “Paris is the capital of Germany” or “Your husband’s name is Joachim.” Throughout the entire training period, the researchers carefully monitored the patients’ alertness and concentration using EEG, to ensure that they were actually participating in the task at hand. The answers were then used to train an algorithm that matched the responses to their respective brain activation patterns. Eventually, the algorithm was able to tell yes or no based on these patterns alone, at about 70 percent accuracy for a single trial. “After 10 years [of trying], I felt relieved,” says Birbaumer. If the study can be replicated in more patients, we may finally have a way to restore useful communication with these patients, he added in a press release. 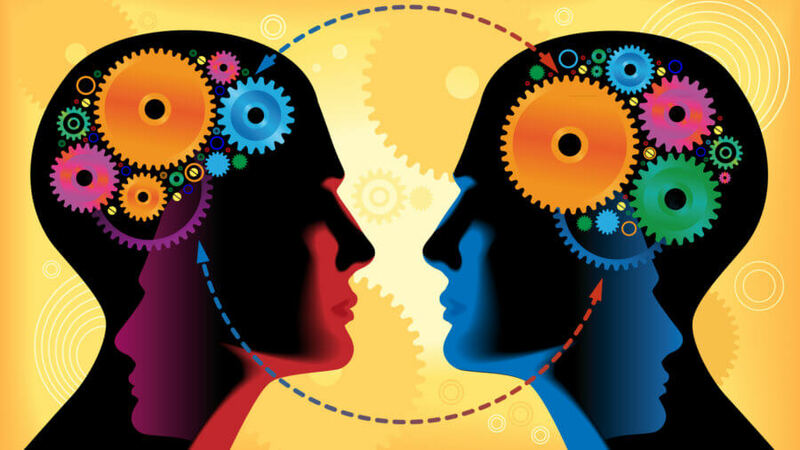 “The authors established communication with completely locked-in patients, which is rare and has not been demonstrated systematically before,” says Dr. Wolfgang Einhäuser-Treyer to Singularity Hub. Einhäuser-Treyer is a professor at Bielefeld University in Germany who had previously worked on measuring pupil response as a means of communication with locked-in patients and was not involved in this current study. With more training, the algorithm is expected to improve even further. For now, researchers can average out mistakes by repeatedly asking a patient the same question multiple times. And even at an “acceptable” 70 percent accuracy rate, the system has already allowed locked-in patients to speak their minds—and somewhat endearingly, just like in real life, the answer may be rather unexpected. One of the patients, a 61-year-old man, was asked whether his daughter should marry her boyfriend. The father said no a striking nine out of ten times—but the daughter went ahead anyway, much to her father’s consternation, which he was able to express with the help of his new brain-machine interface. Perhaps the most heart-warming result from the study is that the patients were generally happy and content with their lives. We were originally surprised, says Birbaumer. But on further thought, it made sense. These four patients had accepted ventilation to support their lives despite their condition. For his next steps, the team hopes to extend the system beyond simple yes or no binary questions. Instead, they want to give patients access to the entire alphabet, thus allowing them to spell out words using their brain waves—something that’s already been done in partially locked-in patients but never before been possible for those completely locked-in. “To me, this is a very impressive and important study,” says Einhäuser-Treyer. The downsides are mostly economical. *The patient is identified as “patient W” in the study. Wendy is an alias.